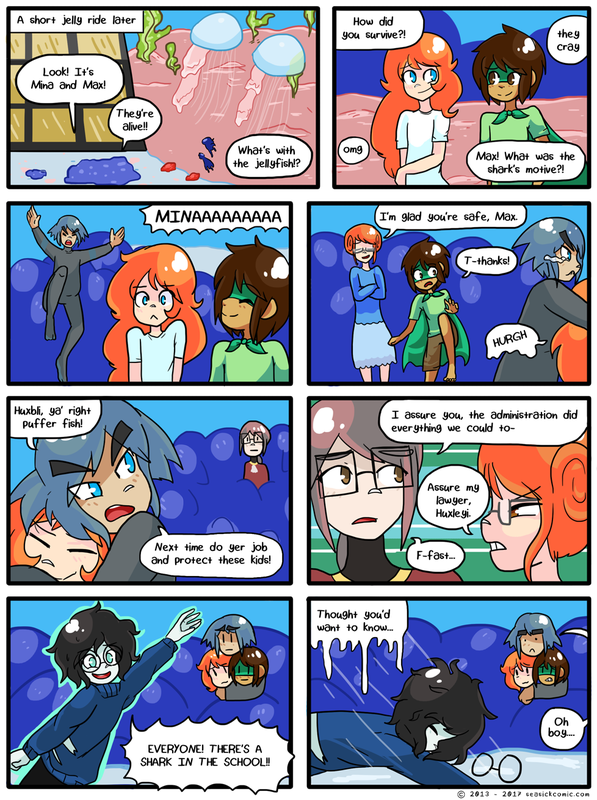 chapter-one-page-seventy-six – Seasick – The Underwater Adventure Comic. Updates Fridays! on April 19, 2017 and modified on April 19, 2017. Awww, Sunny!! He tried. Thanks for reading today’s page! The end is in sight…stay tuned for more Seasick, every Mon/Wed/Fri!